IntroductionCarotid artery injury (CAI) is the most feared and potentially catastrophic intraoperative complication an endoscopic skull base surgeon may face. With the advancement of transnasal endoscopic surgery and the willingness to tackle more diverse pathology, evidence-based management of this life-threatening complication is paramount for patient safety and surgeon confidence. ObjectivesWe review the current English literature surrounding the management of CAI during endoscopic transnasal surgery. ConclusionsReview of the literature found the incidence of CAI in endonasal skull base surgery to be as high as 9% in some surgeries. Furthermore, current treatment recommendations can result in damage to critical neurovascular structures. Management decisions must be made in the preoperative, operative, and postoperative setting to ensure adequate treatment of CAI and the prevention of its complications such as pseudoaneurysm. Emphasis should be placed on surgical competency, teamwork, and technical expertise through education and training. 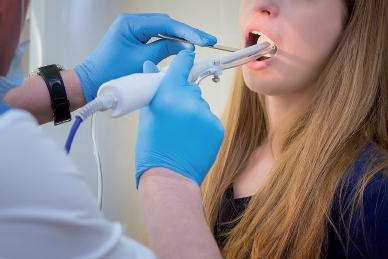 Across the world, the transnasal endoscopic approach is fast becoming the method of choice for managing pathology of the ventral skull base including the clivus and craniocervical junction. Endoscopic techniques employed for the surgical management of inflammatory and neoplastic diseases in the paranasal sinuses have been expanded and combined with a better understanding of endonasal skull base anatomy to facilitate surgery in this region. 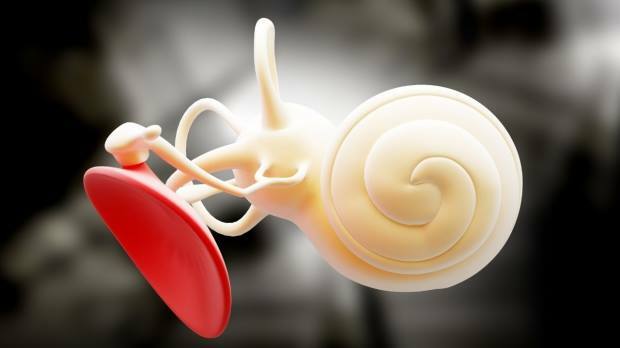 Otolaryngologists and neurosurgeons appreciate the advantages of this method including the avoidance of skin incisions, minimal sacrifice of intervening structures, improved visualization, reduced postoperative pain, and shorter hospital admissions. Despite these significant advantages, the limitations of this approach must also be appreciated. These include longer operating times and a reported higher postoperative cerebrospinal fluid leak rate. The most feared and disastrous complication, however, is that of carotid artery injury. In the immediate operative setting, this can result in overwhelming blood loss and place the patient's life at imminent risk. These patients may also be susceptible to pseudoaneurysm formation, vessel spasm, thrombosis, embolism with consequent cerebral insult, and even the formation of a caroticocavernous fistula. The incidence of carotid artery injury in endoscopic sinus surgery is rare, with only 29 case reports described in the literature. The incidence is higher in transsphenoidal pituitary surgery at 1.1% and higher still in extended endonasal approaches, such as for craniopharyngiomas, clival chordomas, and chondrosarcomas, at 5 to 9%. This article aims to review the preoperative, operative, and postoperative evidence-based management of carotid artery injury. Identifying at-risk patients, however, is the mainstay of carotid artery injury prevention. A recent review article by Valentine and Wormald identified anatomical, tumor, and patient factors that may contribute to carotid artery injury. 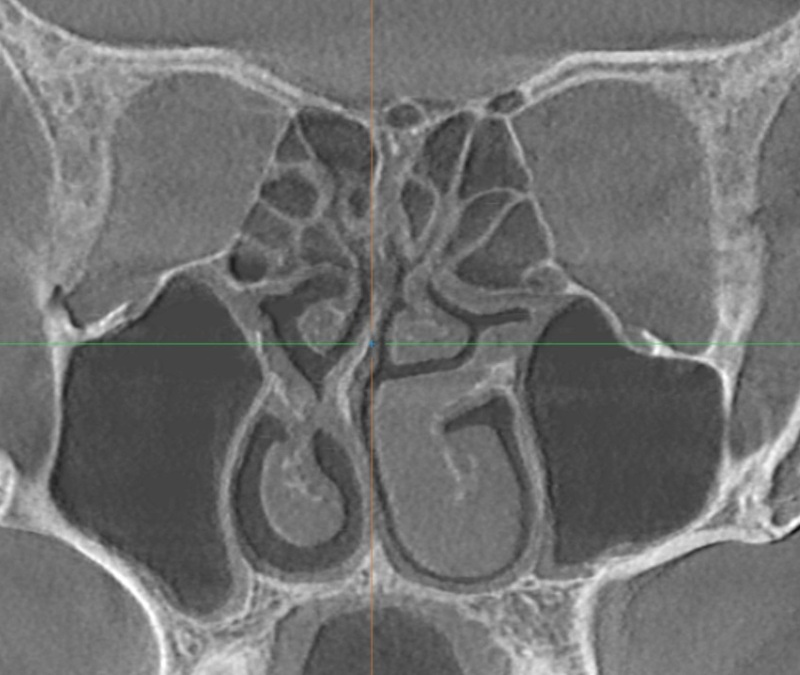 Appreciation of the relationship between the internal carotid artery (ICA) and the sphenoid sinus is paramount. The bony wall overlying the ICA is less than 0.5mm thick and is not sufficient to protect the artery. 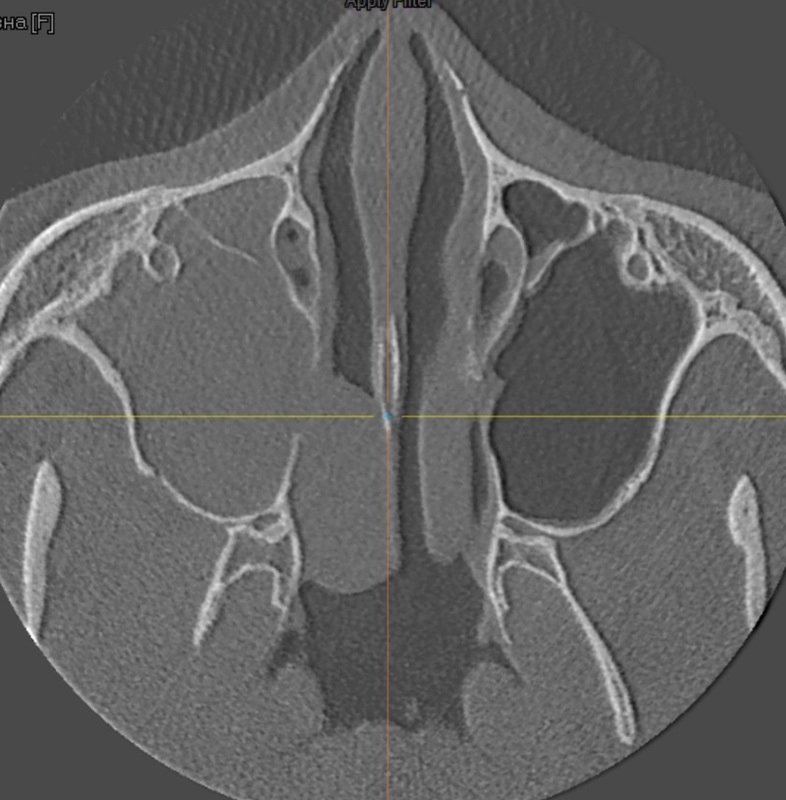 Also, in up to 22% of cases the lateral sphenoid wall may in fact be dehiscent with only dura and sphenoid sinus mucosa overlying the ICA. An ICA that approaches the midline may also predispose to injury. It has been found that in 71% of cases the artery may be up to 4mm from the midline, with some authors also describing the distance between both ICAs within the sphenoid to be as close as 4 mm. 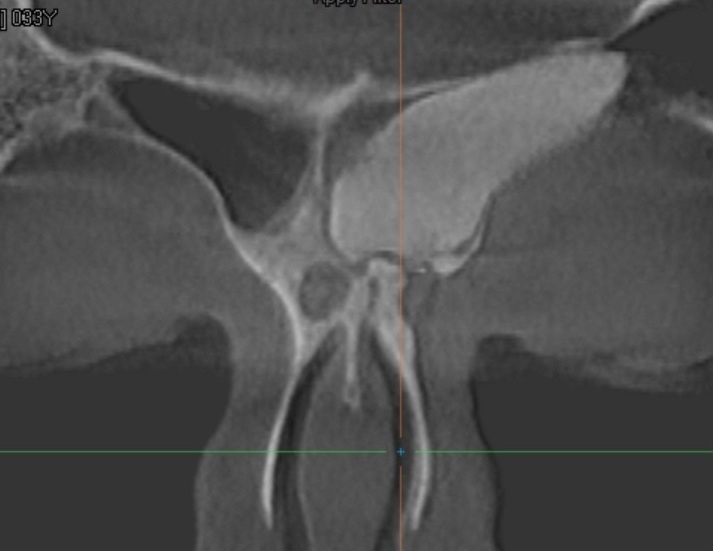 In the majority of patients, the bony sphenoid septum or sphenoid septation inserts onto the ICA canal wall, and surgery on this septation may place the artery at risk. Potential cavernous ICA anomalies also need to be taken into account. Cavernous ICA aneurysm makes up ∼12% of all intracranial aneurysms, with some authors showing an association with pituitary adenomas. 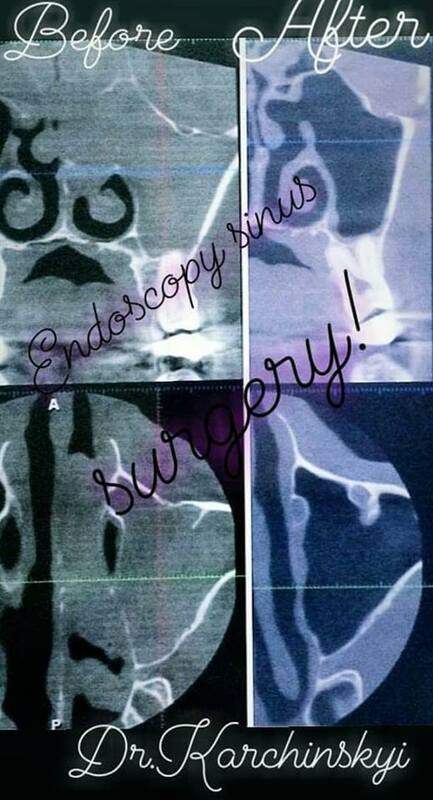 Of concern are several reports of unrecognized preoperative cavernous ICA aneurysms, which have resulted in ICA rupture. Tumors closely adherent to the ICA require careful attention. Vessel encasement by the tumor not only predisposes to injury but may also be associated with vasospasm, which can result in altered mental status and/or hemiparesis. Vasospasm can occur as a result of tumor dissection away from the ICA or due to displacement of the ICA within the cavernous sinus during attempted hemostasis. The authors advocate whenever possible to use blunt instruments, such as suction Freer dissectors and pituitary ring curettes, when working in close proximity to the artery. If bone is required to be removed, then a grasping and twisting motion should be avoided. Performing bony osteotomies before removal can help prevent inadvertent laceration. In addition, diamond burrs should be utilized in preference to cutting burrs. Taking into account both anatomical and tumor factors requires imaging to be a mandatory part of the preoperative process. 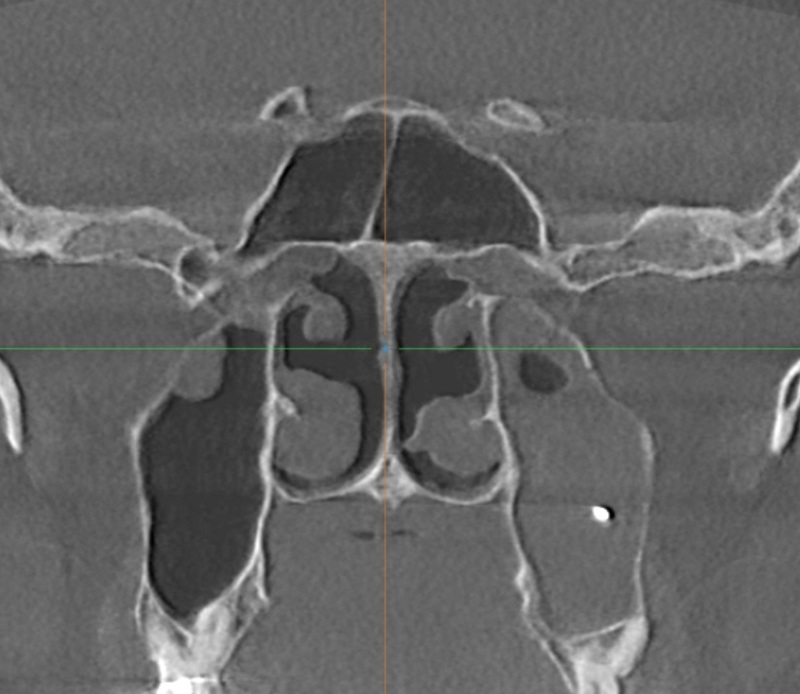 High-definition, thin-sliced computed tomography (CT) scans can be useful to thoroughly visualize the bony anatomy of the sella region and delineate vessel anatomy and its relationship to the sphenoid sinus. Magnetic resonance imaging (MRI) scans can demonstrate preoperative ICA aneurysms, with follow-up magnetic resonance angiogram (MRA) useful to confirm such suspicions. Intraoperative CT can provide up-to-date information for image guidance and can detect vascular complications. In addition, neurophysiologic monitoring of cortical and brainstem function during surgery can be helpful in the event of major bleeding to assess cerebral blood flow. A major vascular injury such as a carotid artery injury represents one of the most challenging scenarios for a surgeon. The high-pressure, high-flow environment can prove difficult for even the most experienced surgeon to gain visualization and control. Before attempting hemostasis, it is important for the surgical team to appropriately control the surgical field to prevent a panicked and disordered approach, to promote safe maneuvers, and to ensure controlled management. The literature relating to the endoscopic control of major vascular injury is limited. Through the development of an animal model of the endoscopic, endonasal vascular injury, Valentine and Wormald were able to reproduce the high-pressure, high-volume field encountered during carotid artery injury and as such described key steps in its control. Two surgeons are engaged, allowing one surgeon to control the bloodstream, directing it away from the endoscope, while the other obtains visualization to attempt hemostasis (). Two large-bore (10F) suction devices and, if available, a lens cleaning system for the endoscope should be used. The second surgeon uses suction downside the nose with predominant bleeding to direct flow away from the other side. The primary surgeon places the endoscope down the contralateral side, using the posterior septal edge as a shield from the blood flow. The primary surgeon clears blood ahead of the endoscope using the second suction device. A pedicled septal flap should also be cleared and pushed into the nasopharynx. The second surgeon is then free to “hover” the suction device directly over the site of injury to help gain visualization for the primary surgeon. A number of adjunct maneuvers and procedures have been described to aid in hemostasis and pack placement. Head elevation and controlled hypotension are not necessary given the significant hypotensive effect of the bleeding. If suction devices and hypotension cannot allow for adequate nasal packing, then ipsilateral common carotid artery compression can be performed. Weidenbecher et al advocated bilateral carotid artery compression in the neck, with concurrent surgical widening of the sphenoid sinus ostium, to facilitate nasal pack placement. It is also widely recommended that normotension be maintained through resuscitative measures to preserve adequate cerebral perfusion. Several packing agents have been described in the literature. These include Teflon (Medox Medical, Oakland, NJ) and methyl methacrylate patch, fibrin glue, Gelfoam (Pfizer, New York City, NY), oxidized cellulose packing thrombin-gelatin matrix, oxygel, and glue and muslin gauze. Valentine and Wormald's review article found that despite numerous options, gauze was most frequently used due to its availability and ease of use. Packing is not without its own complications, however. Raymond et al reported on 12 cases in which carotid artery injury was treated with nasal packing. Eight of these cases had ICA occlusion, and four had carotid stenosis secondary to the packing. It was concluded that overpacking contributed to patient morbidity and mortality. Skull base surgery requires wide exposure of the surgical field and exposure of many critical neurovascular structures. Overpacking is indeed an important consideration in preventing compression injury to these structures. Furthermore, compressive nasal packing is not considered an option if the dura is opened as blood is likely to track back into the subdural space. As such, attention has therefore turned to alternate methods. Considerable effort has been made in our department to add to the relative paucity of prospective research in the management of carotid artery injury. Valentine et al compared the hemostatic efficacy of various absorbable and biocompatible hemostats in an animal model of carotid bleeding. These included oxidized cellulose, thrombin-gelatin matrix, and a crushed muscle patch. The crushed muscle patch was the only method that succeeded in gaining hemostasis in all instances. Its effectiveness has been described in case reports in the past, with the use of quadriceps muscle as an effective permanent tamponade for ICA bleeding. Valentine's work was followed by Padhye et al's study in which the muscle patch was trialed not only on a linear injury type but also punch and stellate injuries. The muscle patch again achieved hemostasis in all cases. Long-term complications were also assessed, and although muscle patch use incurred low rates of destabilization and pseudoaneurysm in certain injury types, it was shown to maintain normal vessel characteristics and patency in all cases. In the clinical setting, muscle is harvested from the thigh (usually prepared for fascia lata graft in skull base cases) or sternocleidomastoid in the neck. A 2×1.5×1-cm graft is harvested then crushed between two metal kidney basins and, after gaining control of the surgical field, it is placed directly over the injury site with Blakesley forceps ([Fig. 2]). It should be placed with enough force to stay in contact with the vessel injury site but should not compress or occlude the vessel, and it may take up to 12 minutes to gain hemostasis. If the carotid is likely to be exposed to the nasal cavity, the muscle patch should be reinforced with an overlying septal flap. If the vessel is intracranial, the patch should be secured with oxidized cellulose and fibrin glue. Laws and Solares et al have previously described the use of direct suture repair and a Sundt-type clip graft in cases of carotid artery injury; however, outcomes of these methods are not known. Valentine et al used of U-clip anastomotic device (Medtronic, Jacksonville, Florida, United States) to repair the injury site after clamping with a Wormald endoscopic vascular clamp (Medtronic) and found it to be very effective in gaining hemostasis in an animal model of carotid catastrophe. Long-term outcomes of this method are also unknown, and unfortunately Medtronic has ceased production of the U-clip. Padhye et al studied different carotid injury types and their long-term complications and found that a T2 Aneurysm Clip (Mizuho, Tokyo, Japan) was able to gain hemostasis in all injury types as well as prevent pseudoaneurysm occurrence in an animal model of carotid bleeding ([Fig. 3]). Careful attention to placement was needed to avoid contributing to carotid stenosis. 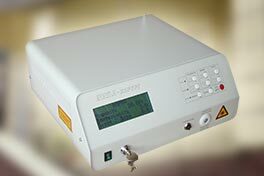 Bipolar electrocauterization has also been described; however, long-term outcomes in a clinical setting are unknown. Padhye et al trialed bipolar electrocauterization on different injury types in an animal model of bleeding, and although effective at times in gaining hemostasis, there was an association with delayed secondary hemorrhage as well as total carotid occlusion. In addition, this technique can in certain cases worsen the injury, enlarging the defect. Therefore, this technique cannot be recommended. In some patients, hemostasis may not be achievable, and in these cases urgent transfer for endovascular intervention must be sought. These interventions are designed to either occlude the vessel or maintain vascular flow. In these cases, as much hemostasis as possible should be achieved endoscopically before transfer to the angiography suite. Endovascular occlusion of the artery is generally performed using a balloon or coil and should be performed at the wall defect to prevent extravasation of blood from both anterograde and retrograde vessel filling. Deployment of an endovascular balloon or coil can be associated with distal migration due to the high-pressure, high-flow environment of the artery. This can place the ophthalmic artery at imminent risk due to its location distal to the cavernous ICA. If occlusive intervention is sought and time permits, prior assessment of collateral circulation should be undertaken and can be done in a variety of ways. In addition to angiography, balloon occlusion test (BOT) of the ICA in combination with electroencephalogram, transcranial Doppler, xenon-CT, and single-photon emission computed tomography are useful to assess the collateral circulation. It should be noted, however, that Mathis et al found that of 192 patients who passed the BOT, 4.7% developed permanent stroke. The BOT may not always be possible in the emergency situation, where hemostasis has not been achieved and occlusion intervention may be the only way to save a patient's life. An alternative to occlusion intervention is placement of a stent graft to seal the injury site and maintain vascular flow. This is, however, technically challenging to place in the tortuous cavernous carotid siphon; stent grafts are also associated with distant migration as well as ICA spasm. In addition, there is a 4.4% risk of stroke within the first 30 days of stent placement as well as requirement of concurrent anticoagulation therapy, which confers its own potential risks. Postoperative care largely involves the prevention of potential complications of carotid artery injury, which include pseudoaneurysm formation and caroticocavernous fistula. A pseudoaneurysm is a tear through all layers of an artery with persistent flow outside the vessel into a space contained by surrounding tissue. Its incidence after carotid artery injury can be as high as 60% and carries with it a risk of rupture for up to 3 months. Therefore prompt identification and treatment is required for successful long-term management. Once hemostasis has been achieved intraoperatively, the patient should be transferred for urgent angiographic investigation to assess the repair and ascertain if further endovascular intervention in required. Angiography should include the external carotid artery if no abnormality is found within the ICA. In addition, the cosurgeons should be available to loosen the packing if localization of the injury site is not possible due to overly tight packing. If the immediate postoperative angiogram is normal, then the authors advocate monitoring the patient in the intensive care unit until the packing is removed and another angiogram is performed, usually at 1week postsurgery. If this is again normal, then the angiogram is repeated at 6 weeks, 3 months, and 1 year. Endoscopic carotid artery injury is a devastating complication that can induce panic and management paralysis in the surgical team if the surgeons have no experience with this complication and no clear plan of how to manage this event. Review of the English literature reveals several important steps that a surgeon can take to successfully manage this complication. First, optimal preoperative assessment with preoperative planning for such a potential complication is important. Second, skilled operative maneuvers can successfully achieve hemostasis. And third, postoperative assessments and comprehensive management of potential complications will result in the best possible outcome for the patient. Preoperatively, surgeons must be familiar and competent with the endoscopic approach and anatomy to minimize neurovascular complications. Studious assessment of preoperative CT scans is required, including appreciation of the relationship of the cavernous ICA and the lateral sphenoidal wall,  as well as the potential midline lie of the artery. Obtainment of MRI or MRA to confirm suspicion of ICA anomalies is also supported as is close assessment of tumor relationship to ICA. Factors such as previous radiotherapy, revision surgery, bromocriptine therapy, and acromegaly are helpful to identify the at-risk patient. These patients may warrant preoperative assessment of collateral cerebral circulation if their risk is deemed high enough. Intraoperatively, during a carotid artery injury, emphasis is on controlling the surgical field through the two-surgeon, four-handed technique, to gain vision and better decision making regarding hemostasis. There are several courses available that allow surgeons to train on animal models so that surgeons may practice the necessary surgical maneuvers that allow successful hemostasis. Having experience in this situation and having a clear surgical plan can be lifesaving for the patient. Nasal packing has been widely described as the method of choice; however, overpacking has been seen to incur its own complications secondary to compression of critical neurovascular structures. Use of a crushed muscle patch has been shown to be effective in gaining primary hemostasis and maintains normal vessel characteristics in more than one injury type. However, it has been associated with destabilization and pseudoaneurysm if used as the lone treatment. In the clinical setting, the authors would advocate for prompt follow-up angiography with endovascular intervention if required. If the surgical field permits, direct vessel closure techniques such as the U-clip and the T2 aneurysm clip have been shown to be effective in a sheep model of carotid bleeding. The aneurysm clip was not associated with pseudoaneurysm formation; however, placement may influence long-term carotid flow. Reports have also been made on the use of direct suture repair and bipolar. If hemostasis cannot be achieved promptly, packing and transfer for angiography and endovascular intervention with balloon, coil, or stent graft is indicated. Where possible, assessment of collateral cerebral circulation should be undertaken. P.J. Wormald receives royalties from Medtronic ENT for instruments designed and is a consultant for Neilmed Pharmaceuticals. Prevention and management of carotid artery injury is a combination of appropriate patient selection, surgical competency, and teamwork, culminating in the formulation and execution of a surgical plan. In this anxiety-provoking situation, the need for appropriate training cannot be underestimated. In addition to clinical training, targeted vascular workshops utilizing cadaveric and live animal specimens will help surgeons acquire technical expertise as well as skills in teamwork and plan formulation necessary to gain the most favorable outcome for the patient. 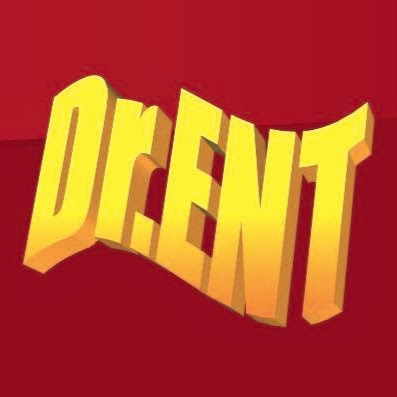 With respect and reverence your Dr.ENT: Karchinskyy Aleksandr!